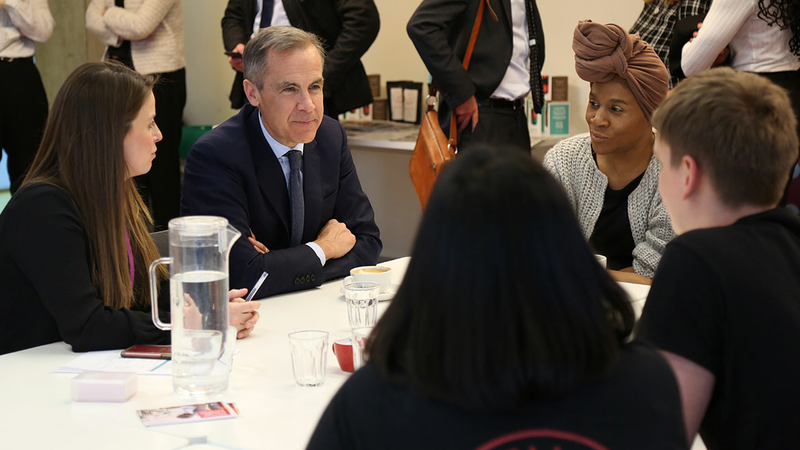 On 27 February, our Governor, Mark Carney, visited Tower Hamlets in London. He met with community leaders and representatives to discuss the economic and financial issues facing local people. Thanks to the East End Community Foundation for supporting this event. The Bank of England has been rooted in the centre of the world’s leading financial hub, the City of London, for the last 325 years. We are dedicated to the same mission today as when we started: to promote the good of the people of the United Kingdom. Today we do this by maintaining monetary and financial stability. That means ensuring prices don’t rise too fast, as the ill effects of high inflation fall predominantly on the poorest in society. It also means making sure the financial system is safe and sound, keeping people’s hard-earned money secure and providing households and businesses with the financial products – insurance, banking and investments – they need in good times and bad. We deliver this mission by focusing on the national level; for example, we set interest rates for the country not the county. But, we are also working on a number of projects at local levels, to understand better the impact of our policies, to explain the Bank’s work to interested parties and to ensure that we are engaged in our own community. Recently, as part of the Bank’s outreach programme, I visited Tower Hamlets. 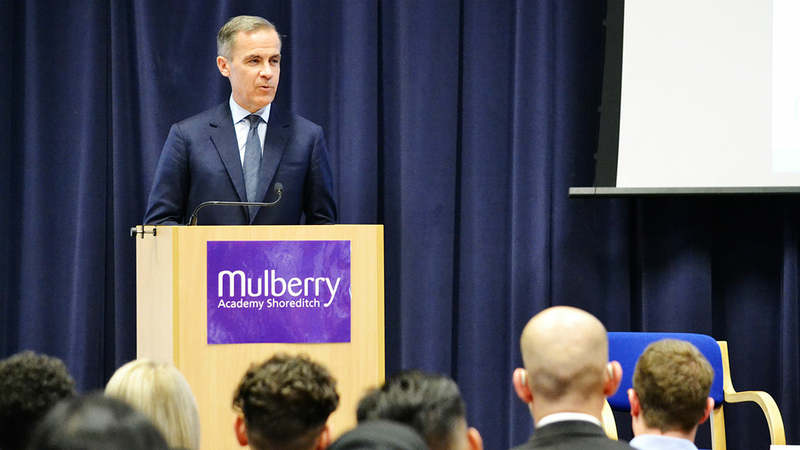 I went to a local school to explain the Bank’s work, answer questions about a range of topics from financial crises to diversity, and hopefully to prompt a few students to consider careers in finance – even central banking. After the intense Q&A, I met local community leaders and money advisers at Toynbee Hall, before heading out to Well Grounded, a social enterprise moving people out of unemployment and improving their wellbeing through a comprehensive barista training course. As I discovered, there was plenty to be proud of in the local community. The students I met were bright and engaged, the questions formidable, and the school facilities second to none. Educational attainment in the Borough is now above the national average. Last year, two thirds of pupils achieved 5 or more A*-C grade GCSEs. There are 60,000 more jobs in the area than there are residents of working age. 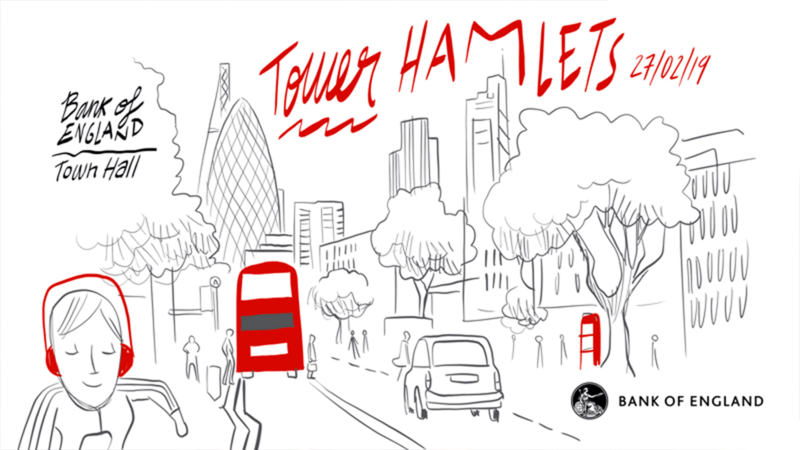 And the number of homes in Tower Hamlets has increased by a third since 2003 and right now, it has the highest number of homes under construction in London. This is however a borough of contrasts. Many of the flats in those gleaming towers will be sold to non-residents. Child poverty is still at 40%. And one in two older people lives in income deprivation, the highest rate in the UK. 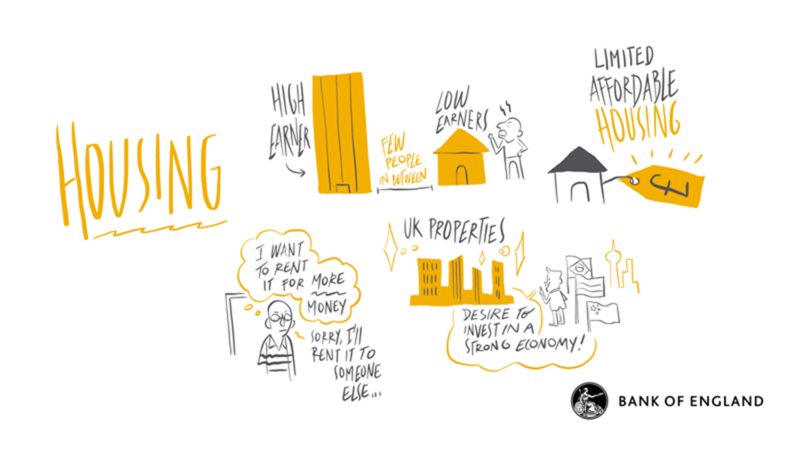 The residents in the Borough recognise that behind the shiny facade lies a world of opportunity, knowledge and wealth. What they want is a way to connect to, and collaborate with, their neighbours in the City and Canary Wharf. 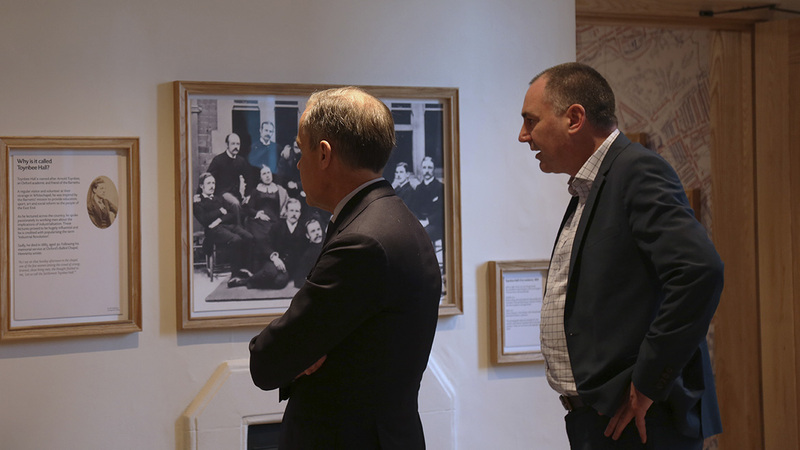 The community leaders I met do fantastic jobs: they help the most vulnerable in our society, and through their regular engagement with local people they recognise the depth of human capital in the area. Human capital that is waiting to be unlocked by local businesses donating not only their financial capital, but also their social capital. Successful communities are underpinned by social capital; they rely on the links, shared values and beliefs in a society which encourage individuals not only to take responsibility for themselves and their families, but also to trust and work collaboratively with one other, recognising their obligations to each other. 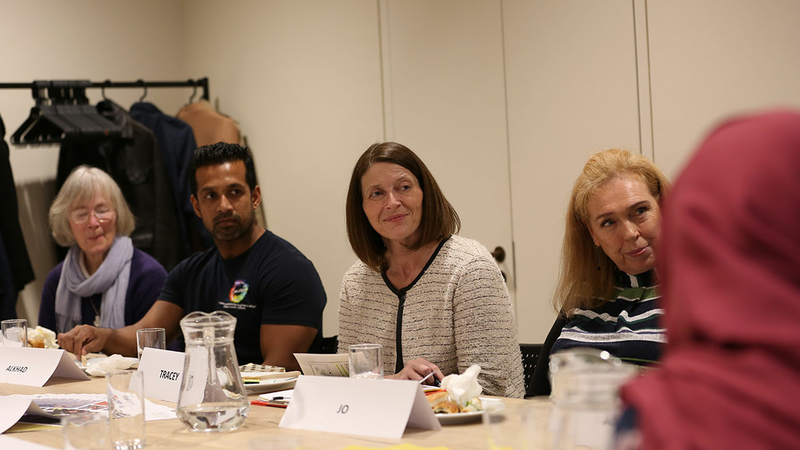 As community leaders made clear on my visit, residents in Tower Hamlets need access to the networks, training and mentoring opportunities that local businesses, whether large or small, can provide. They need global companies to do even more to step into the local community. 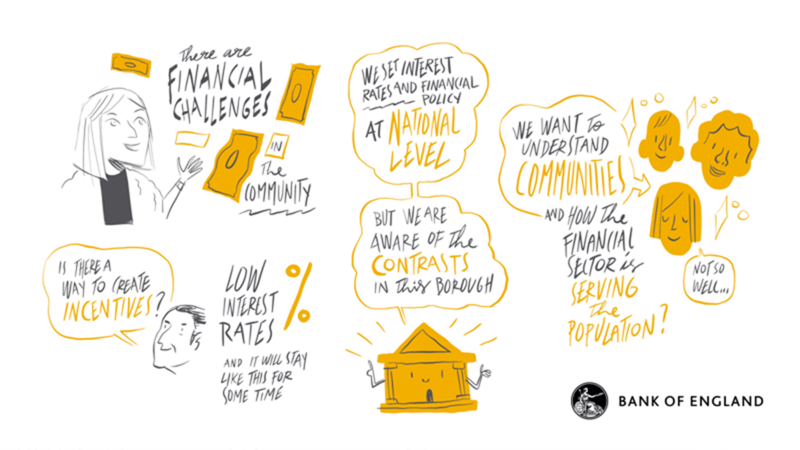 At the Bank, we are trying to play our part locally in the community through our outreach and nationally through our work with the financial system. Last year, the Bank contributed a total of £1,210,000 to support the local community via a range of activities. This included: volunteering; staff fundraising for our charities of the year; and, through our matched funding scheme, donating to the charities supported by colleagues and those supported by the Bank’s regional agencies. Colleagues volunteered 1,139 days of their time through charity work and civic duties, equivalent to over £430,000. The Bank has had relationships with schools in Tower Hamlets for many years and last year over 80 colleagues volunteered in the borough giving over 1160 hours of their time to support pupils with literacy, numeracy and problem-solving skills, and helping them prepare for the world of work by improving their CV writing and interview skills. 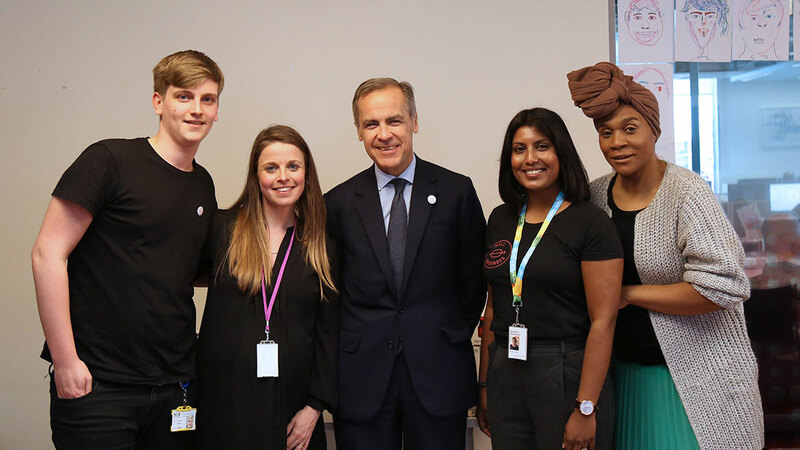 We also refocused our social mobility initiatives which provide work experience opportunities for young people from lower socio-economic backgrounds. 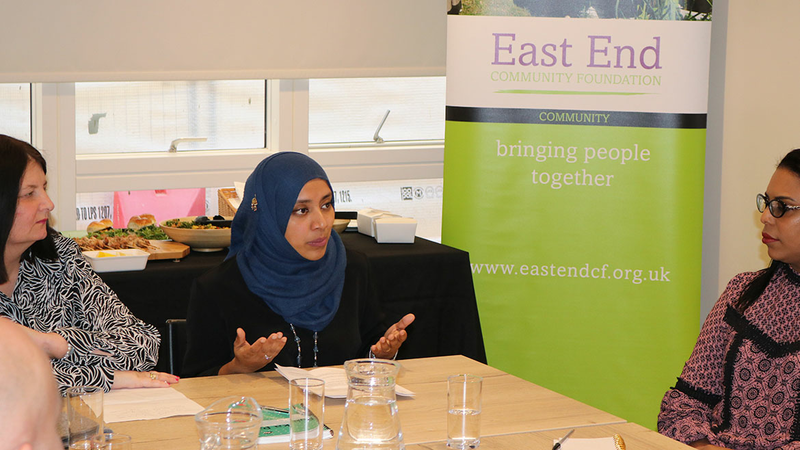 We welcomed 76 students from the local community for work experience and colleagues mentored young people through three different mentoring schemes in the local area. 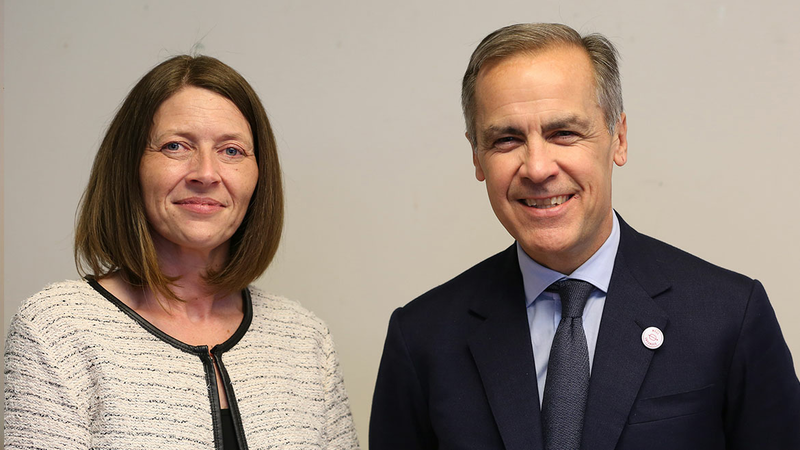 More broadly, the Bank of England is thinking about how to put the right conditions in place to help the private sector innovate and create more solutions for people who are financially excluded or underserved by the current system. This means enabling new financial technology – fintech – companies to develop products that give consumers more choice, better‐targeted services and keener pricing. This includes: allowing more firms access to the Bank’s infrastructure so that they can develop new products; making sure we are regulating new fintech firms proportionally; reducing the cost of sending money abroad; and helping small business access finance to start up or grow their businesses. 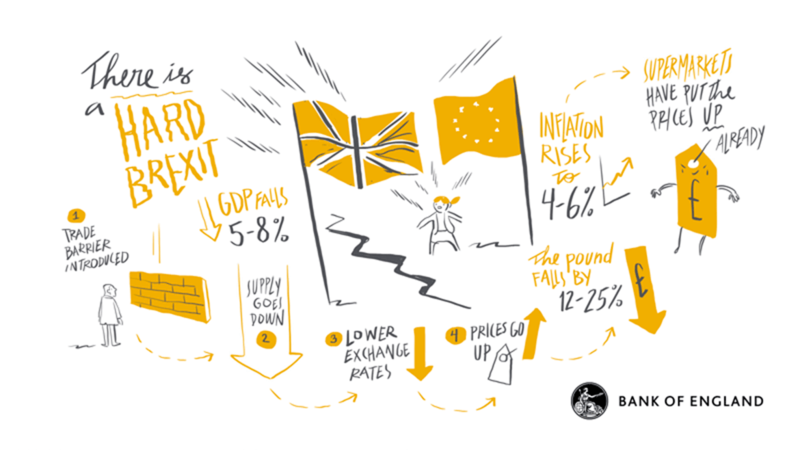 And finally, we are doing our bit to improve financial literacy through our school education programme –econoMe – which provides lesson plans, presentations, videos, activities and real life case studies aimed at 11-16 year olds and focuses on how they can make informed financial decisions. For the modest investment the Bank has made to develop econoME - £80,000 - we have reached over 1500 schools (representing 30% of all UK secondary schools), which equates to almost 140,000 students. 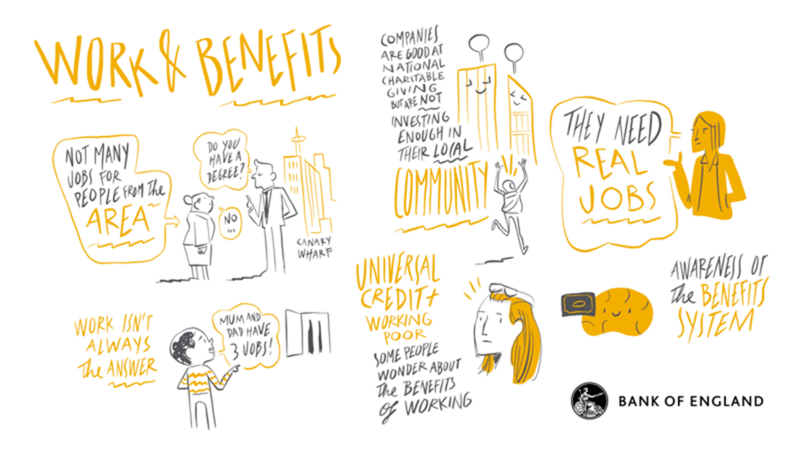 The Bank of course is a small piece of a big puzzle, but visits such as these help us understand what part we can play in the wellbeing of local communities. I’d like to thank Rushanara Ali for instigating and joining me on the visit to the Mulberry Academy Trust School in Shoreditch, the East End Community Foundation, especially chief executive Tracey Walsh, for organising the day and to our hosts at Mulberry Academy, Toynbee Hall and Well Grounded for the opportunity. As well as all those who took time out of their day to talk to us about issues facing the local community.